Would you like to reduce the number of times your sellers home appraises lower than the Contract Price? Get a Pre-Listing or Current Listing Appraisal! Why? Because you can and should provide a copy of this appraisal to the Bank’s appraiser. Not only will that appraiser be happy to have a prior appraisal to review along with a sketch of the home (because it will save them time), it will go a long way to insure the Bank Appraisal comes in close to the Pre-Listing Appraisal. This alone is worth the price of a Pre-Listing Appraisal. A Maryland Certified Residential Appraiser is going provide qualitative and quantitative support for their opinion of market value. 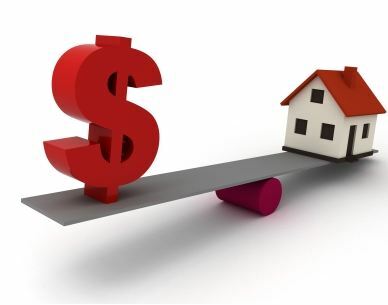 Most Bank appraisers will discount the value of comps provided by Realtor’s, however it is very hard for them to ignore an appraisal performed by another accredited appraiser. That is the reality. Here are some of the many reasons why a Pre-Listing Appraisal is so important. It can be used as a negotiating tool once you have a potential buyer. Our Pre-listing Appraisals include a detailed sketch of the home with accurate Square Footage to quote. Square Footage has a direct impact on Market Value. The Maryland tax records that most Realtors quote in their listings are inaccurate. Realtors can place our detailed sketch right in their MLS listing. Everyone will love that feature including other Appraisers. The pre-listing appraisal can be used as a rebuttal if the buyers appraisal comes in below yours or conflicts in any way with your report. Most owners think that their home is worth more than what a buyer is willing to pay and an appraisal helps them to realistically price their home in order for it to sell. An overpriced home will not attract buyers, which means no offers and no closing. Some owners on the flip side, may think their home is worth less in this turbulent market only to find it is actually worth more. Knowledge is power and a Pre-Listing Appraisal can help a seller from avoiding a mistake that could cost them thousands! CONTACT US TODAY FOR A LISTING OR PRE-LISTING APPRAISAL IN MARYLAND OR WASHINGTON DC. CONSIDER IT A GOOD INSURANCE POLICY TO ENSURE FEWER SURPRISES FROM CONTRACT TO CLOSING!